A few years ago Saugatuck Craft Burchery opened in Westport, buying locally-raised meats and poultry, dry-aging the beef on premises and selling to the public. A second phase was opening a cafe using their meats as the centerpiece to the menu. The “Craft Burger” is the next new addition to my Best Burger list. It included dry-aged beef, IPA fondue, bacon bits, bitter greens, and an onion ring served on a brioche. The meat was fantastic, perfectly prepared to medium-rare and delivered that wonderful rich flavor we have grown to expect from this butcher. The IPA fondue was a thick cheese sauce that covered the top of the meat and the mini-cubes of bacon were a great addition. The ingredient that elevated this burger was the bitter greens. It added a level of complexity that none other contained and the sweetness of the brioche was fantastic. 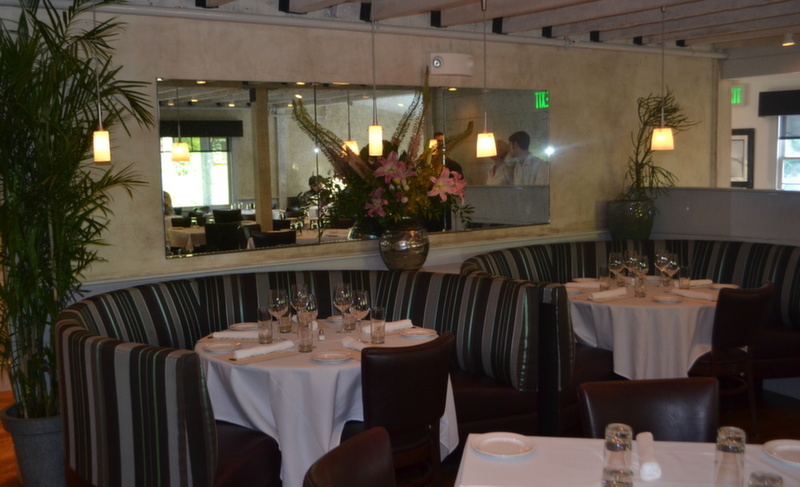 After several visits, 323 Restaurant & Bar in Westport is a bar/restaurant looking for an identity. It is unclear whether this is a bar with a dining room, or vice versa. Equally unclear is the cuisine which includes Italian, Seafood, Southern, and simple grilled meats. The interior was converted from a neighborhood bar, Bogies, and now includes with a 66-seat dining area to the right and an equi-large room to the left with a U-shaped bar and tables. The décor is eclectic-rustic-formal with wood beams overlooking tables covered with clothes. HDTV with a ballgame on the wall in one room and art on the walls in the other. But most important was the experience. On a recent weekend night visit there were limited guests (4 tables) and the vibe was dull but the service was alive. I hope they can decide on a direction before it is too late. As far as the cuisine was concerned I enjoyed some of the dishes, a few of the components in the others required a little attention (some of these items have already been modified from when I originally sampled) and others were not at all to my liking. The “New England Clam Chowder” on one visit was one of the best chowders I have tasted…a great start to the meal. 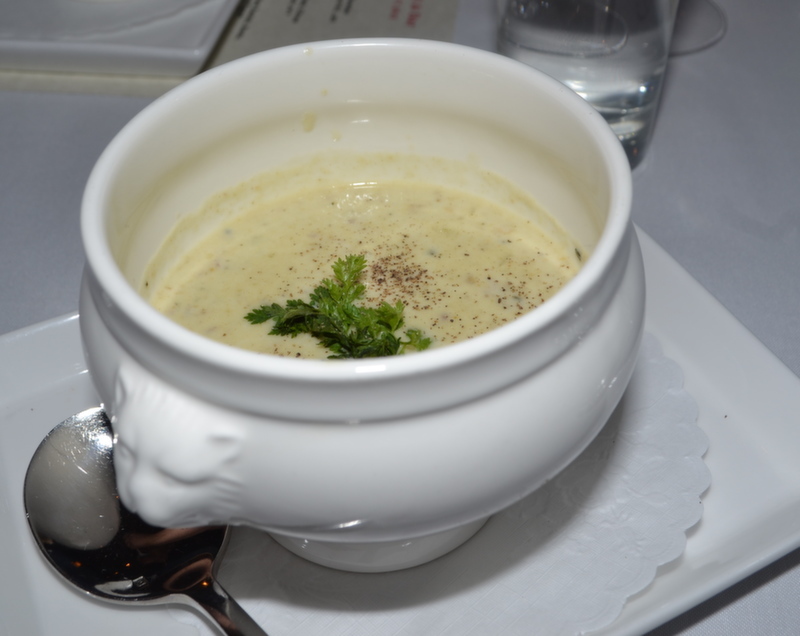 The creamy bisque was rich in flavors from the fish stock and included an abundance of clams. On a subsequent visit the broth was overly pungent, the clams were very chewy and the potatoes were mushy, almost as if it simmered too long. 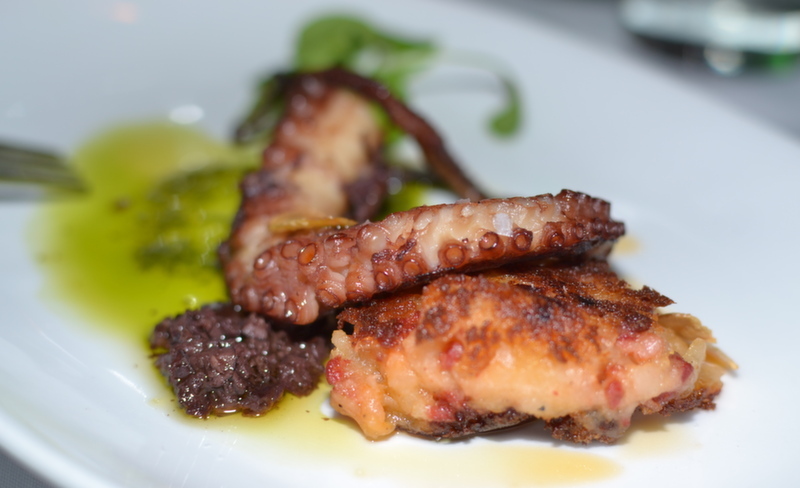 The “Grilled Octopus” with Chorizo hash and olive tapenade delivered some excellent flavors and textures. The octopus was braised and then finished on the grill. It was extremely tender and the olive tapenade was a good complement. The hash lacked the appropriate spiciness and would have benefited from more chorizo to add additional spice. The menu subsequently eliminated the hash. The “Salad of Thumbelina Carrots,” et. al. was a big hit. Included in the potpourri of colors were breakfast radishes, beets, kumquats and avocados. 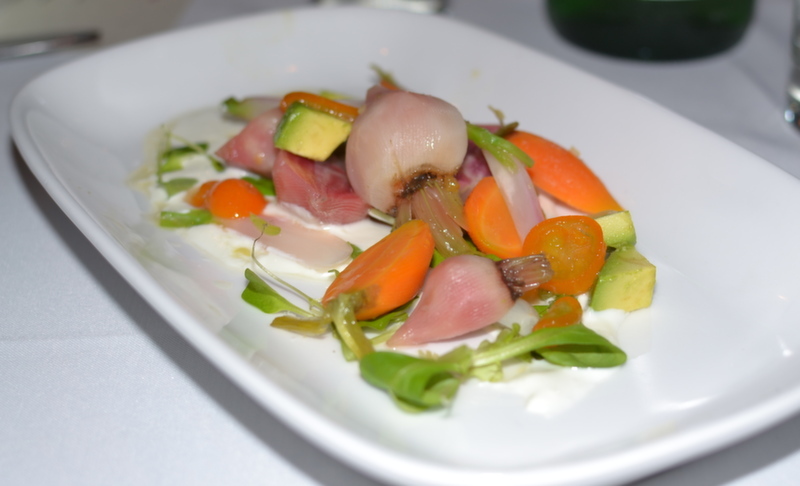 Each was sweet and incredibly delicious; I loved the textures and flavors of each of these vegetables. I was not as fond of the ginger yogurt that accompanied the salad and thought it did not complement, and almost fought with, the sweetness of the vegetables. The grilled meat entrees were the highlight. The best overall dish was the 323 Burger. Eight ounces of short rib and brisket blend was served with pancetta, onion jam, American cheese, pickles and 323 sauce served on a Wave Hill brioche. Served with French fries or onion rings, the burger was perfectly prepared, delivered great flavor and the accompaniments were delicious. The hand-cut onion rings were delicious but on my two visits the seasoning was uneven. The “Dry Aged Boneless NY Strip” was fantastic. It was served with broccolini with raisins, and pignoli duck fat potatoes. The steak, from Pat LaFrieda in NYC, was prepared perfectly and delivered great flavor and texture; this was one of the best steaks in the area. The potatoes were delicious; crisp on the exterior and creamy on the interior; I was not fond of the broccolini and raisin accompaniment which was undercooked. 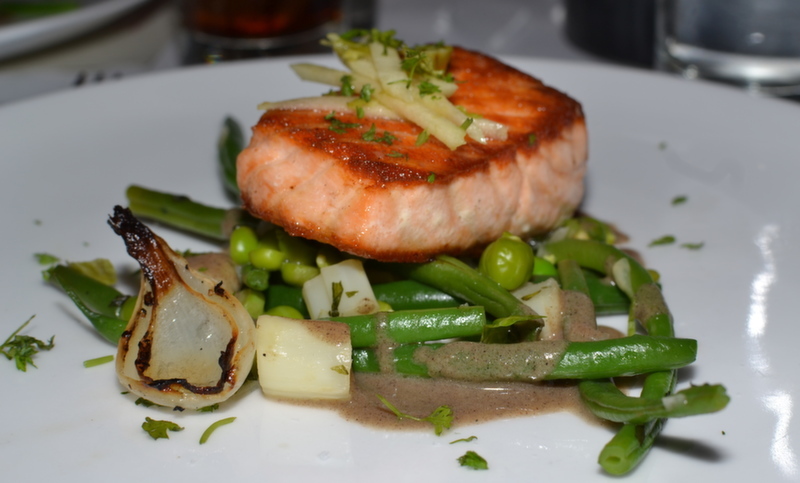 The “Salmon a la Plancha” with spring vegetable ragout, julienned pear and a black truffle sauce was flavorful. A simple salmon filet sat atop a variety of beans, peas and onions and hidden beneath the vegetables was the highlight of the dish, a truffle sauce. The sauce was earthy and delightful when paired with other ingredients. Unfortunately there were an equal number of very disappointing dishes. 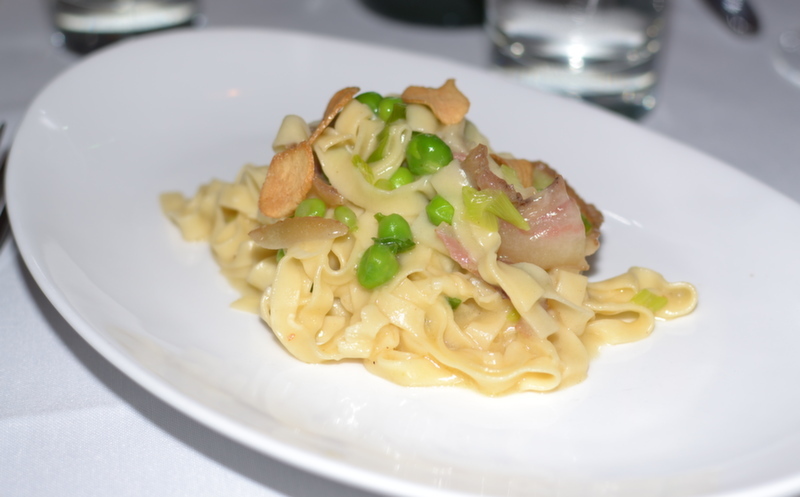 My least favorite dish was the “Hand Cut Fresh Tagliarini” with Guanciale, English peas, spring onion and Parmesan cheese. The pasta was overcooked, gummy in texture and the sauce was lacking the richness I would expect from the description. The “Chicken Saltimbocca” was incredibly bitter and was returned to the kitchen. The Lobster Roll was non-memorable with limited meat and flavor and it almost joined the chicken in a return to the kitchen. The desserts were all disappointing. On one visit the “Chocolate Torte” with butterscotch, sea salt and vanilla gelato was served with burnt edges and on a subsequent visit, the flavor and texture were lacking; the Panna Cotta with crumble was served two different ways. On one visit it was delicious and on a subsequent visit the crumble topping had a burnt flavor. Overall the grilled meats and burgers that 323 served were delicious while the non-“grill” items did not deliver the same level of satisfaction. 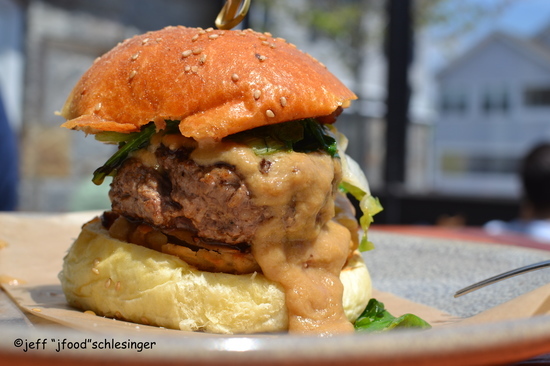 The burger at Le Farm in Westport makes my 2013 Best Restaurant Burgers list twice, once under Chef Geoff Lazlo and again under its newest chef, Arik Bensimon. Both of these great chefs carry on the traditions of Owner Bill Taibe. Le Farm is small in scale but large in stature and the Le Farm “Beef Burger” has graced its menu since inception. 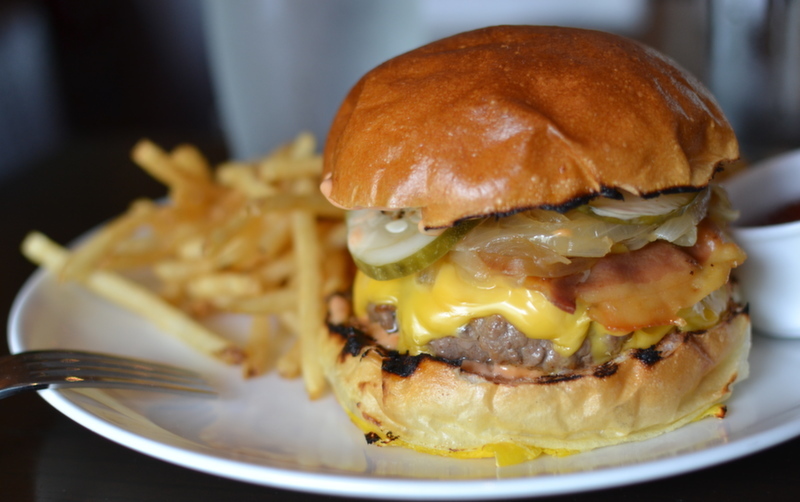 The “Beef Burger” with B&B pickles, mayonnaise, Cheddar cheese and bacon on a brioche delivered incredible flavors. 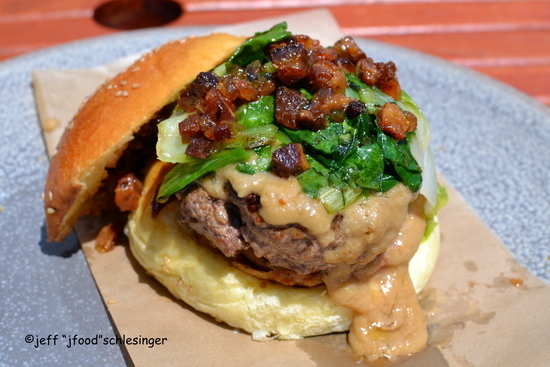 This hamburger was sampled while Chef Geoff Lazlo and again when Chef Arik Bensimon were in the kitchen. The meat was charred on the exterior and the interior texture was soft. The interior was perfectly prepared to medium rare and was moist and juicy. The house-made pickles added a sweet element and the cheese and mayo were delightful and creamy complements; the bacon was a little bold for the other flavors. 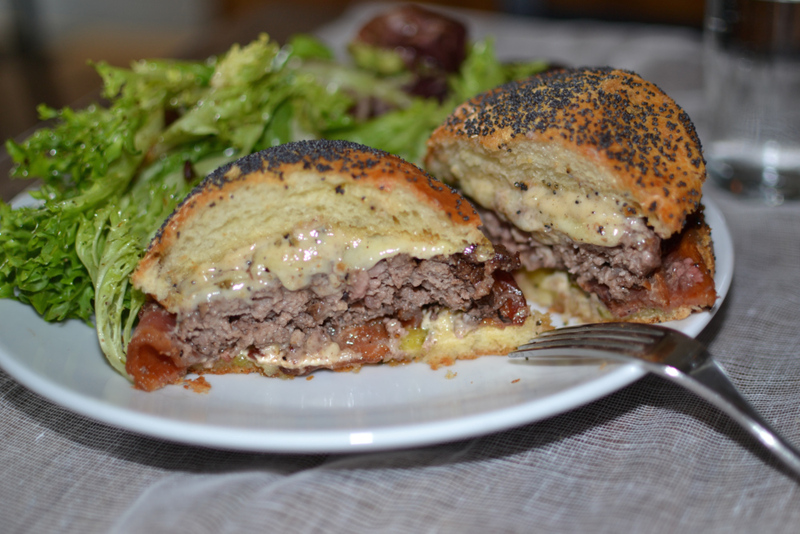 All of these delicious ingredients were encased in a brioche bun, a favorite of mine. One year, hundreds of miles, close to 30 pounds of meat, thousands of fries…searching for the ten best hamburgers. While others merely create lists of hamburgers from websites, I devoured almost 70 different varieties in as many locations. 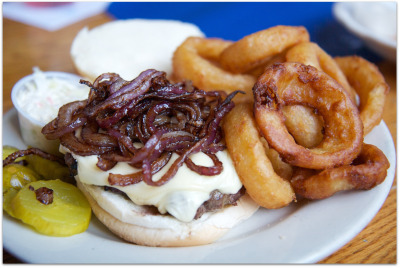 And at the end of this long and winding road stood Chef Bill Taibe’s beef burger served at The Whelk in Westport. Interesting that a restaurant named after a mollusk with 90% of cuisine devoted to some of the best fish and seafood anywhere also delivers the best burger in the area. But with Bill Taibe overseeing the cuisine, nothing should surprise you. Have the table start with an assortment of oysters and clams and then move to the main dish. For the carnivores, just sit back and enjoy the best burger around while the rest of the table can enjoy some of the best and creative seafood around. It’s a beautiful thing. Owner Chef Bill Taibe and Chef Geoff Lazlo created my favorite burger this year, combining rich flavored meat, sweet pickles, cry baby Swiss cheese, two varieties of bacon, crisped onions and onion mayo on a brioche bun. The dry aged blend of short rib, brisket and chuck from Craft Saugatuck Butchery was fantastic. The cheese covered, thick patty sat atop two different varieties of bacon that added saltiness and smokiness, while slices of sweet pickles, a slice of frisée and the onion accented mayo brought additional flavors and textures. 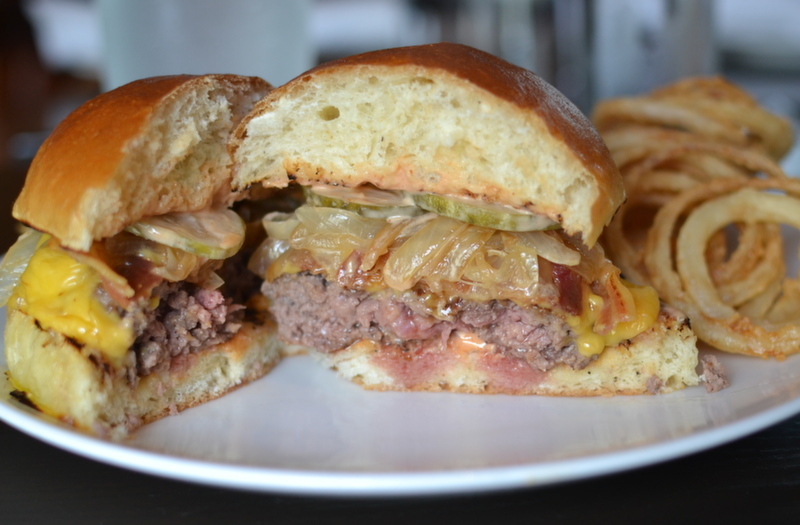 Sitting atop the plump patty were handful of crisped onions. These were all encased in a sweet brioche bun. The flavors were overwhelmingly delicious with smoky, salty, sweet all complementing the deep, rich flavors of the beef with the crisped onions adding a fun and crunchy texture. The hamburger was served with shoestring fries that were perfectly prepared and salted. Overlooking the Saugatuck River and in the shadows of I-95 sits the Black Duck. Not visible from the street, this Westport institution has been included in my list of Best Burgers for several years and is again worthy of inclusion. 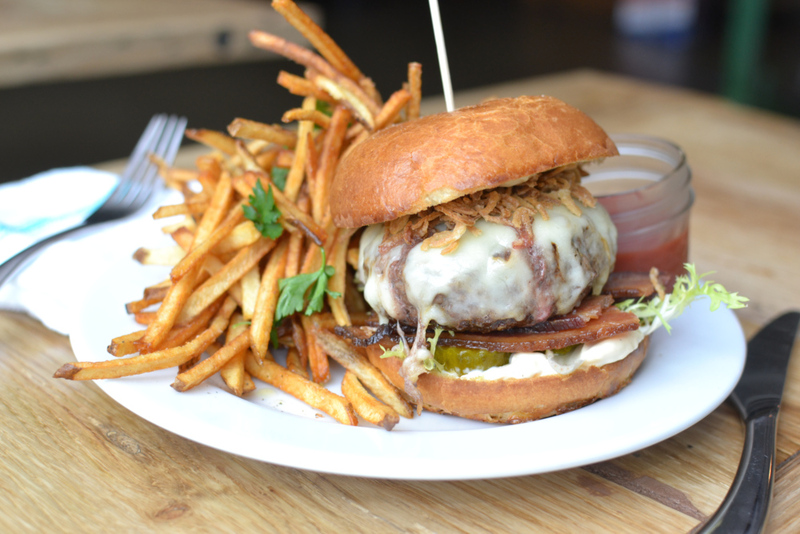 Now #3 on my list of Best Bar Burgers from Greenwich to New Haven is the Black Duck. This burger was six ounces of handcrafted 80-20 Angus and I ordered mine topped with frizzled onions and cheese. It was cooked to perfection, the exterior had a nice crust and medium pink occupied the middle. It was rich in flavor and the texture was soft and the size of the patty allowed the flavor of the meat to be the highlight of the burger. The frizzled onions were fantastic. The bun was plain but sturdy enough to handle the juicy burger and did not interfere with all the great flavors of the meat. The onion rings were my choice, with a crispy, thick coating.